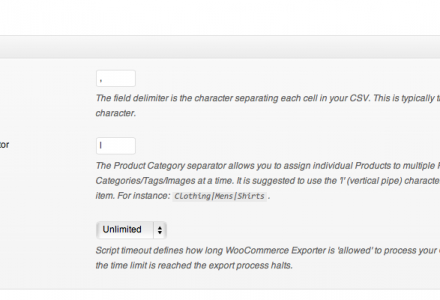 Does Exporter include custom fields? 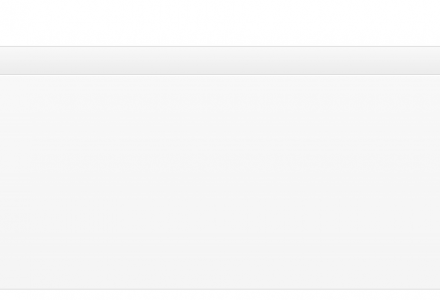 I have added only one custom field ‘Author’, and I do not see it in the exported products csv file. Seems to be doing the same thing again. 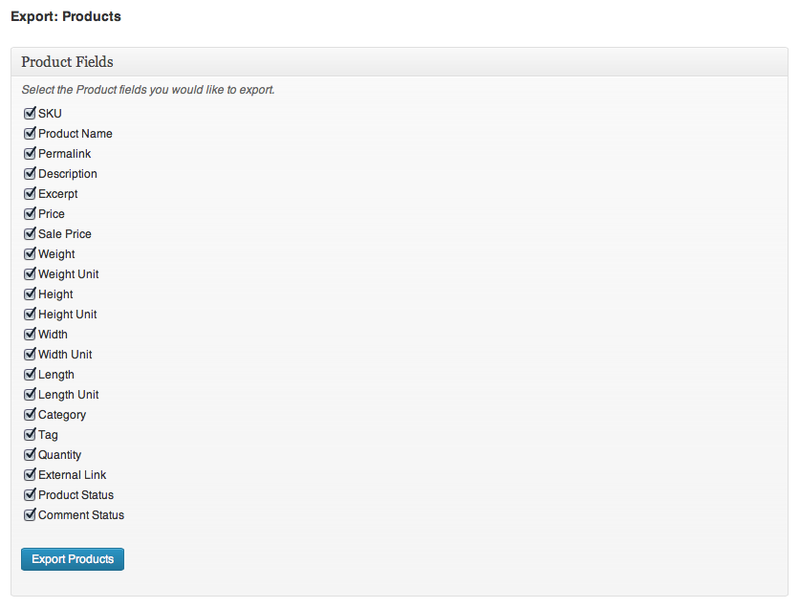 On export I get just one product in csv. Can I get the older version of this plugin anywhere to try. I have about 100 of products and every product has variations, updating these manually is a suicide 🙁 is there anyway to import product variation using csv ? Michael, Thank you for offering this plugin. Does this export custom attributes? any suggestions on this. 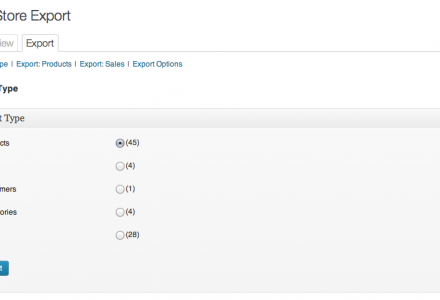 Client uses custom attributes and needs those to export with products. Hi, will this export Orders, as well? Or only products? Firefox can’t find the file at http://www.site.com/wp-admin/tools.php?page=wpsc_ce. I’m having this issue too. In Firefox I get the same error as above. Any ideas? I’m having this same problem on one store site, but not on the other one. Any solutions? I had this problem and just updated the plugin and worked fine! I just ran the exporter script on a client website and it doesn’t seem like it’s exporting dimensions / weights – Or am I doing something wrong? Thanks for getting back to me. I appreciate it :). 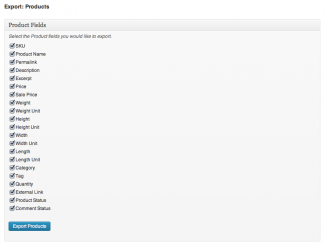 Any chance you had a look at my other comment on the Super Sort plugin? Can this be automated to use as a product feed for services like Google merchant center? 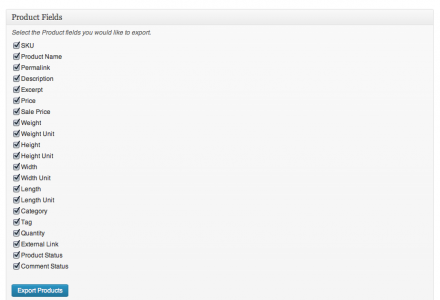 Exporter gives me a CSV file that has all our products. But when I try to import into OpenOffice to modify the columns, it always formats into one column only. I’ve set “Separated by” to comma, and “Text delimeter” to double-quote. Even though the preview in the import dialog looks good, it still always puts everything into one column instead of properly. Note: it opened into Kingsoft Spreadsheets, where I saw that a couple of the product rows must have something wrong with them which messed them up during the import. I’m not sure what causes it, extra carriage returns, or maybe unwanted double-quotes? But at least Kingsoft formats the other rows fine, so I could fix the ones that are mixed up. 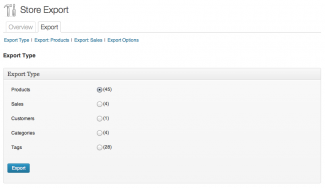 Does this plugin offer more options than exporting Product data e.g. orders, stock levels etc.? Here’s a screen cap of what I have available in Store Export: https://skitch.com/kickmuck/gq99r/wp-e-commerce-exporter. Hi sunstardave, this is an early release. I’ll be cooking more features into subsequent Plugin updates. 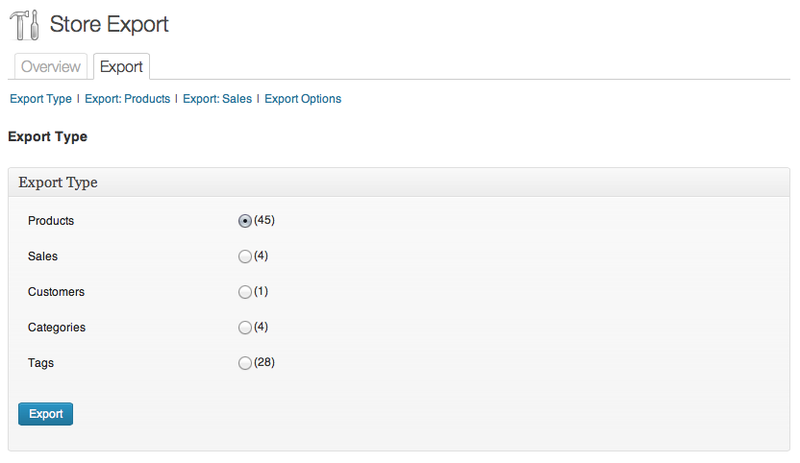 If we’re exporting Sales data we might as well add a facility to the importer to bring that data back in, my concern is how to export cart items assigned to each Sale while using the constraints of 1 row per Sale (or perhaps adding a Order ID to allow each row to be a cart item perhaps). Thoughts? Thanks very much for the quick reply. And of course for making the plugin/s. Can you please clarify if this plugin is intended for WooCommerce. It does say, “Export store details out of WooCommerce into a CSV-formatted file.” but is called “Download Exporter for WP e-Commerce – (1.2)” so I’m a bit confused which e-commerce system it’s for unless of course it’s for both. I’m really interested in a way to export my WP e-commerce store products. 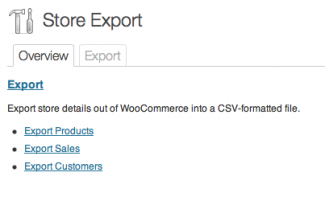 Where can I find your wp e-commerce exporter plugin? Hi Jakob, this has been fixed in the 1.2 Plugin update. I am getting that same error with version 1.2 any clues what can be done? I have tried this plugin on two different stores and it is only giving me one product.